Home/ RUNNING INJURY GUIDE/ THE FOAM ROLLER: HURTS SO GOOD! THE FOAM ROLLER: HURTS SO GOOD! 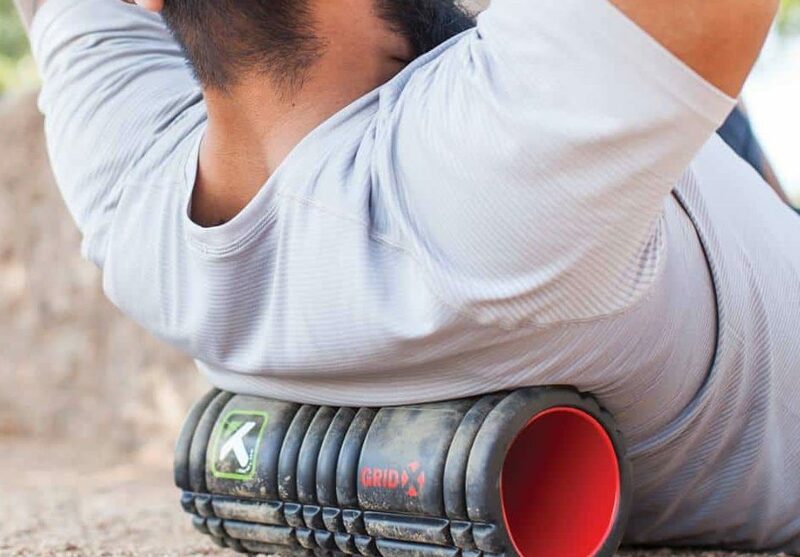 There are many recovery tools at a runner’s disposal and one in particular stands out as essential: the foam roller. Foam rolling, also known as self-myofascial release is an inexpensive tissue massage that a runner can do for herself. Rolling can be done after a long run, workout, or even a long day of accumulated stress. Over time, running and exercise creates tightness in the connective tissue. This connective tissue, called fascia, is typically elastic. Fascia connects to the muscles, bones, and ligaments to support movement. When this tissue remains elastic, we have a full range of motion, perform optimally, and experience muscle balance, lessening the potential for injury. When the fascia is tight due to workouts, stress, posture and other causes, it takes longer to recover and performance suffers. Simply stretching does not effectively release this tension, but foam rolling does. The ultimate goal of foam rolling is to restore primary function to the muscles. These muscles include (but not limited to!) the calves, upper back, quads, IT bands and outer thighs, hamstrings, and glutes. When the fascia connecting to these muscles and ligaments are nurtured and cared for, the whole system – aka the runner! – benefits. HOW SHOULD YOU USE A FOAM ROLLER? Tune into how your body feels before, during and after the run. Note where there is tightness, soreness, and where you are holding tension. When foam rolling, allow for 1-2 minutes for each muscle of focus. It is important to slowly roll over these areas, using your weight to roll back and forth. Avoid putting all your weight on your arms as you navigate the foam roller, as best you can. Expect discomfort. As you hit an especially tight or sore spot, called a trigger point, hold with pressure for 30-45 seconds. This will help to release the tension. If this area is too painful, roll slowly on the surrounding area. Avoid contact with bones and joints, including your spine. When rolling your back, start with one side and focus on the muscle. Be sure to breathe fully and completely as you roll. Allow yourself to relax onto the foam roller, repeating a mantra, if needed, internally. (“Breathe in, breathe out” is a suggestion!) There may be additional soreness up to 24 hours after rolling. Rolling, therefore, can be done a few times a week to start and slowly become part of a regular routine.